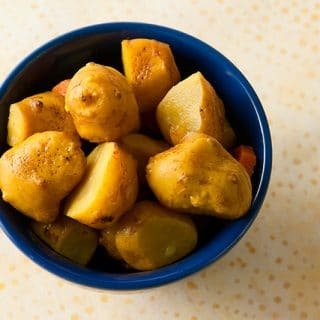 Wild starches are the toughest need for a forager to meet. Greens and fruits are everywhere, but starch can be tough to come by. 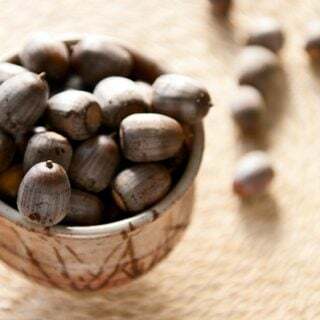 I’ve begun with acorn recipes, you’ll also find recipes and resources for other wild starches as well, such as wild salsify, arrowhead, sunchokes, cattail and tule tubers — as well as other nuts like the black walnuts, hazelnuts and pine nuts. 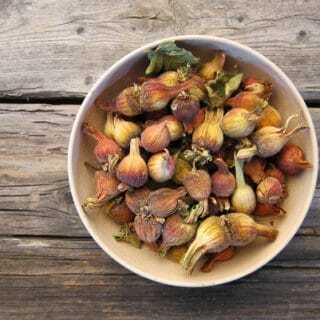 If you want to make these recipes, you will need to know about collecting and eating acorns. 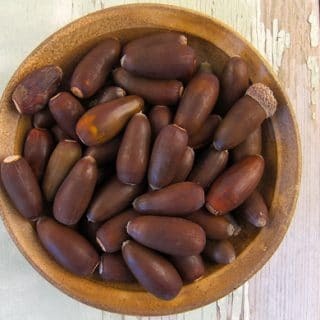 If acorns are just too weird for you but you want to make something similar, use chestnuts — even canned chestnuts make a good substitute. 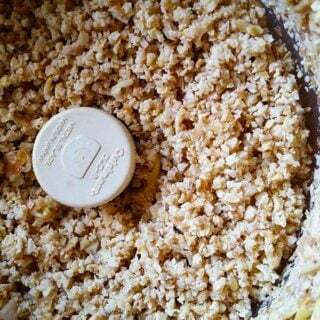 This process makes the best-quality acorn flour I know of. Yes, there are easier methods, but this is the best. Sometimes you don’t want acorn flour. Sometimes you want pieces a bit larger. Here’s how to make acorn grits. 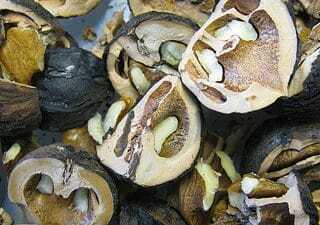 A post on my experiments cooking with acorns. 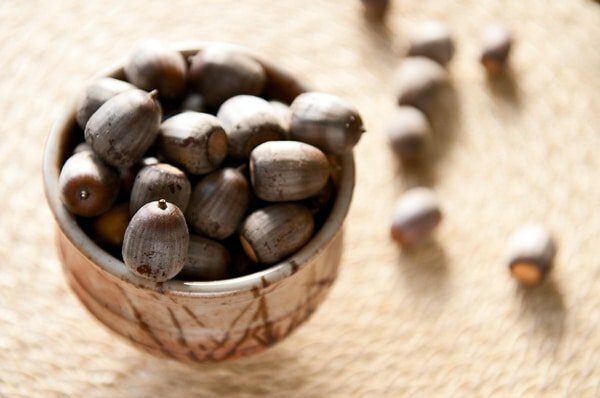 You’ll find a lot of tips on what you can – and can’t – do with acorn flour. 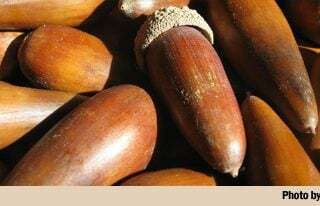 This post includes a lot of nuts-and-bolts information about collecting, processing and storing acorns. 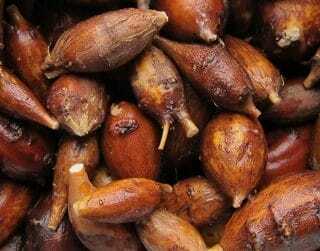 I love these acorn muffins. 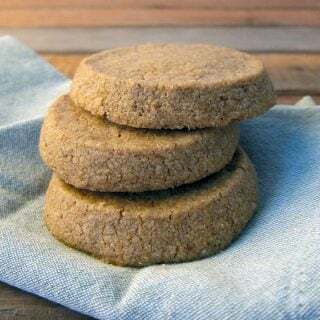 Made with both acorn flour and some acorn grits, they are like a bran muffin, only better. 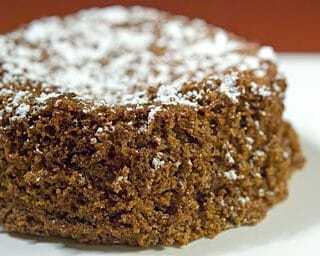 This is an overview on how other countries use acorns, and the post includes a recipe for an Italian-style acorn flour cake, which is traditionally made with chestnuts. 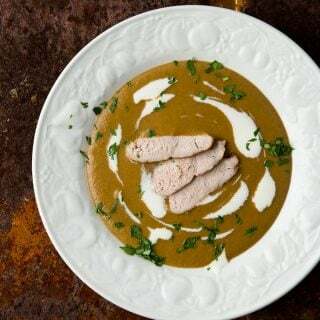 A luxurious smooth soup made with acorns, dried porcini and brandy, garnished with sour cream and a few slices of grouse or chicken. 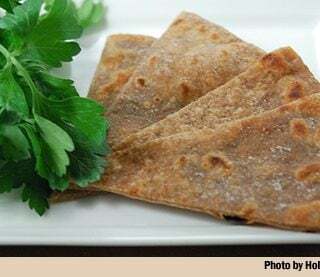 Italian piadine flatbreads – basically flour tortillas – made with a mix of acorn flour and regular flour. Maybe my favorite thing to do with acorn flour is to make rustic German spaetzle dumplings. 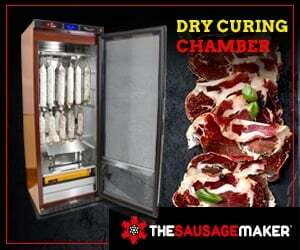 They go great with wild game, especially venison and duck. 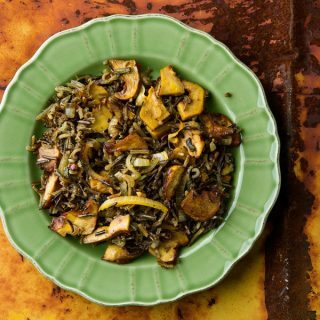 Real wild rice is a wonderful thing, very different from typical store-bought cultivated “wild” rice. Either way, though, make this warm salad and you won’t be sad. What you need to know to gather, grow and eat what might be America’s best wild tuber. 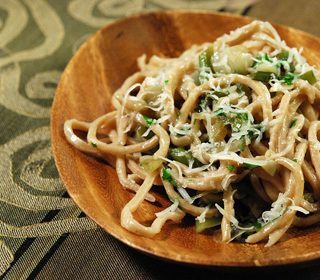 Not exactly wild, but this is a great pasta dough for wild game dishes that you can sometimes buy in the store, but definitely make yourself from store-bought ingredients. 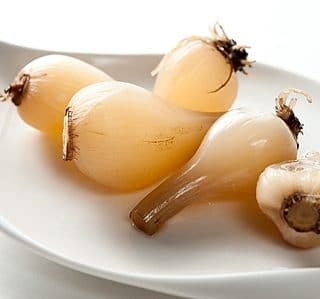 Crosnes or Chinese Artichokes are little starchy-crunchy tubers that look like little Michelin men and taste like water chestnuts. 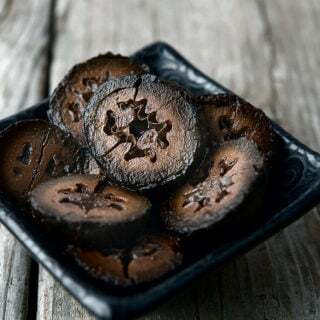 Maybe the best way to eat sunchokes, a/k/a Jerusalem artichokes. Crunchy, zippy and best of all — no farting! 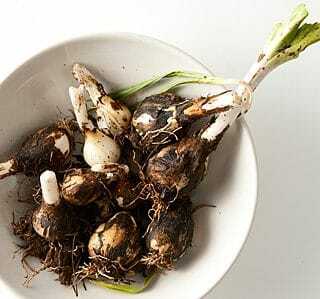 Salsify or scorzonera a/k/a oyster plant is a cool root vegetable that tastes a bit like artichoke hearts. 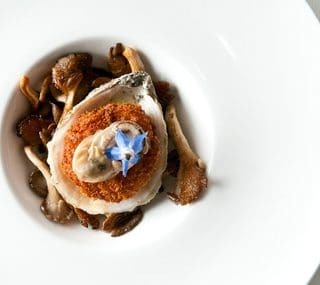 I love these croquettes — with or without the fancy presentation in this oyster dish. Blue camas is a staple bulb of a wildflower eaten by native peoples in the west of the US and Canada. Here’s how to cook it properly. Identifying, harvesting and processing edible wild bulbs, which are staples to native peoples. This is how I find, collect and harvest wild hazelnuts, which are just like the cultivated ones, only smaller and tastier! 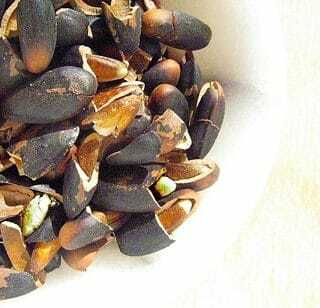 How to find, harvest and process wild American pine nuts – these are the piñon pine nuts of the West, with soft shells you can crack with your teeth as a snack if you want to. 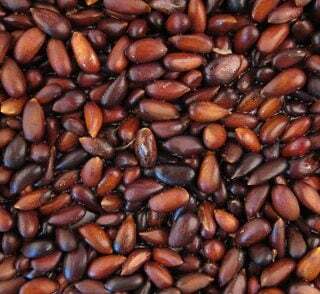 This post details how to collect and crack the California gray pine nuts, Pinus sabiniana, which are very hard. Gray pines are also called bull or digger pines. The title pretty much says it all. 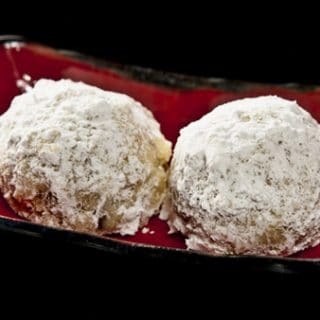 These nuts are tough to crack, but are very much worth it! My favorite Christmas cookie! 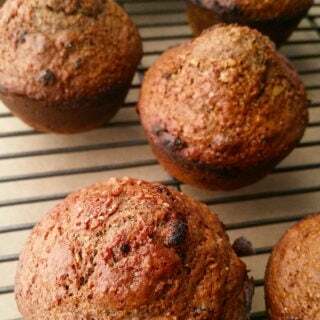 My mom made these with regular walnuts, but I like them better with black walnuts. 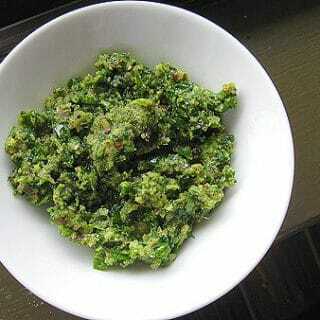 Walnut and parsley pesto is a classic Italian winter sauce. 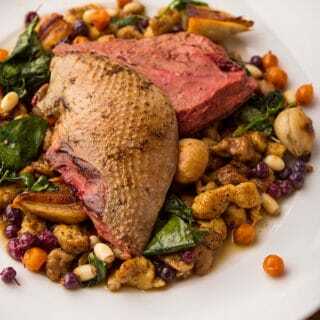 It’s even better with wild walnuts and parsley from your garden! 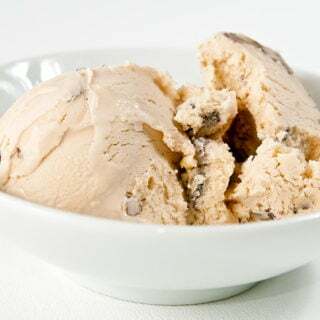 An Italian specialty, this is a little like the pistachio ice cream you’re used to, only with wild pine nuts. 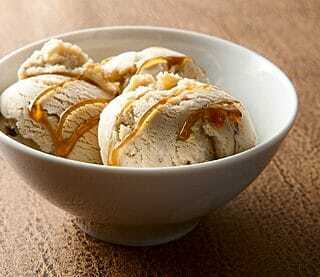 It’s a sweet taste of the piney woods. 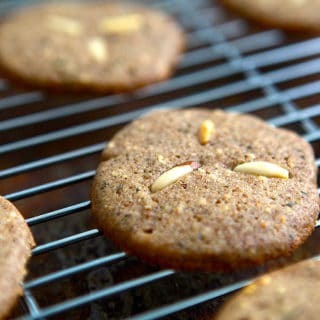 These are awesome cookies made with pine nuts, a little rosemary, and a little acorn flour. Hippie, fer sher, but tasty!